This Fall, Show Your Peirce Pride! We often get queries from students and alums asking how they can purchase Peirce College apparel or spirit wear. We’re happy to share that Peirce College apparel is now available in our e-campus bookstore! Choose from a selection of t-shirts and sweatshirts that allow you to display your Peirce pride, and help us spread the word to others about the college that really works for working adults. We’re excited to hear your feedback, so if there’s a Peirce Pride item that you’d really like to see in the Peirce bookstore, let us know at studentinfo@peirce.edu. 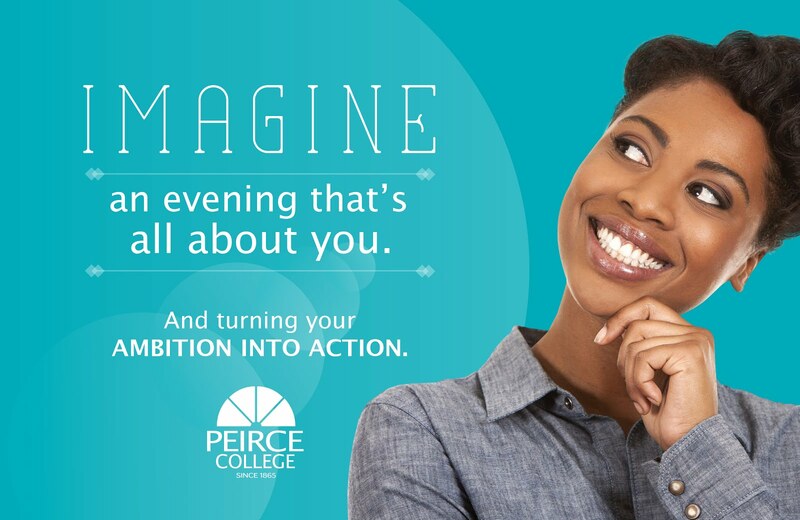 This is a great way for you, your family, and friends to represent Peirce College—and start the conversation in your community about how Peirce helps working adults earn the degrees they need for the careers they deserve. To start shopping today, click here. For more information about how Peirce College supports our adult learners, click here. You can still RSVP for the Graduate Studies Open House! Hold the date! – we’re hosting another Graduate Studies Open House this Wednesday, October 19th! Peirce’s graduate degrees prepare students for a future in leadership. Come to the open house and learn how you can earn the master’s degree you need for the career you deserve. By attending our next Graduate Studies Open House, you'll ﬁnd out how you can earn the master's degree you need with our revolutionary Peirce Fit™ learning model, which lets you choose each week whether to attend class in person or online. Plus, at Peirce, our graduate degrees have been designed in collaboration with top industry employers, so you know you're learning the skills and earning the credentials you need to move your career forward. At Peirce College, we can help you get there. Helping adult learners reach their goals isn’t new for us. In fact, it’s been a part of our mission since we first opened our doors in 1865. We are constantly looking for new ways to help working adults balance going back to school. That’s why we were one of the first colleges to offer online degree programs back in 2000 and why we adopted our revolutionary Peirce Fit ™ learning model across the entire curriculum. Our faculty members hold the academic credentials and the real-life experience needed to provide a high-quality, effective learning experience. Plus, our graduate studies program holds true to our mission of serving the needs of adult learners seeking advancement through educational opportunities. Your time is now! Experience the Peirce Difference, and let us help you earn the degree you need. Start your journey today by registering for our upcoming open house. For more information on how Peirce can help you earn the master’s degree you need for the career you deserve, click here. At Peirce, we pride ourselves in equipping working adults with the real world skills and professional development skills that they need to successfully navigate today’s workplace. 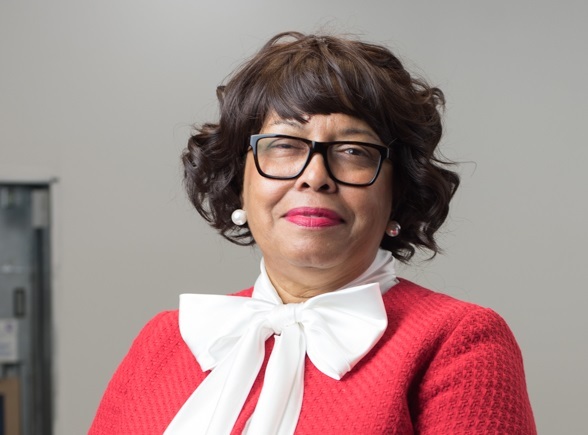 Helping us achieve that goal is Dr. DeVida J. Rembert, aka Dr. De, with the Graduate Studies of Healthcare Administration at Peirce College. 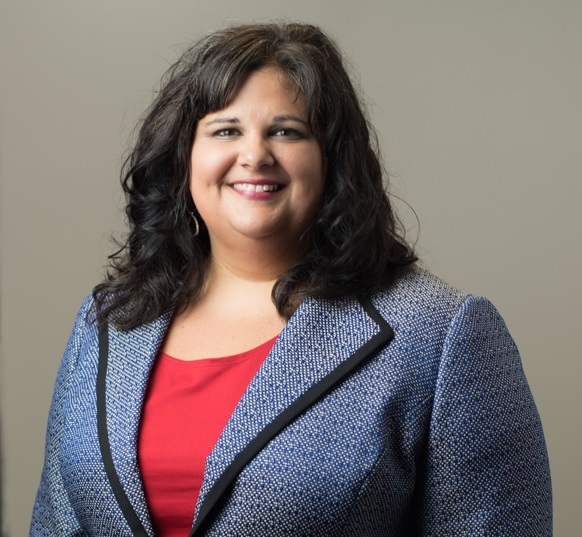 She is fairly new to the institution but has over 3 decades of experience in the healthcare industry and nearly five years of experience in academia. Q: Dr. Rembert, could you please tell us a little bit about yourself? I am a true Philadelphian, born and cultivated in North Central Philadelphia. My husband, I currently live in Palmyra Harbour, New Jersey. I love traditional art, jazz, football and classic movies. Our immediate family now consists of two beautiful daughters (2 sons-in-law) and the absolute medicine of my heart, my 3 grandchildren and Lady Boshia…our Maltese. Q: Can you tell us more about your background in healthcare? 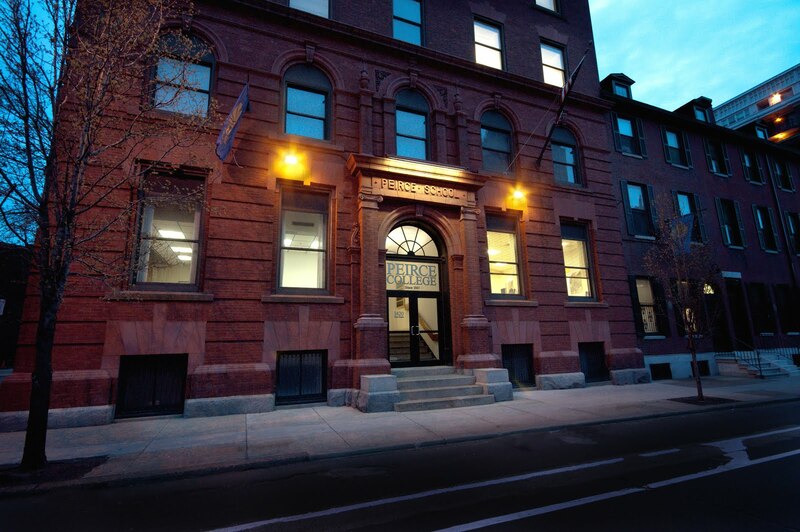 While employed as a healthcare professional at The Hospital of the University of Pennsylvania (now Penn Medicine), I attended college at night. I obtained my undergraduate degree in Healthcare Administration at Beaver College in Glenside Pennsylvania. I gained knowledge and insight of the importance of effective, efficient, and equitable health care delivery and that access to healthcare, quality, and accurate diagnostic findings is critical in delivering effective care to individuals. In 2000, I enhanced my professional skills at The Children’s Hospital of Philadelphia (CHOP) as the Director of Radiology Informatics and Research Business Manager. During my tenure at CHOP, while working full time, I accomplished a Master’s Degree in Healthcare Business, online. And in pursuit of my academia goals, I recently completed a Doctoral Degree in Health Administration at the University of Phoenix. Q: Why do you think Peirce's Master’s in Healthcare Administration graduate degree will benefit students? Our goal is to assists students in preparation for corporate healthcare leadership with the necessary skills to execute strategies for building effective, efficient, and safe administrative practices for quality healthcare delivery and services. My personal goal is to enable my students to leave their courses with an enhanced healthcare administration portfolio as well as personal branding tools to secure or maintain a position as a healthcare professional, graduate and ultimately doctorate student. Q: If someone’s interested in earning their MSHCA at Peirce, how can they learn more? If interested in earning your Master’s Degree in Healthcare at Peirce? It’s easy to get started: Contact the Office of Graduate Studies at 215.670.9325 or email masters@peirce.edu with any questions. When you enroll, you’ll feel confident that a graduate degree is in your future, because Peirce has the convenient, flexible program you’ve been looking for. For more information on Peirce College’s MSHCA, click here. It’s not too late to register for Peirce Night! Mark your calendar – we’re hosting another Peirce Night this Thursday, October 13th! We know life has its challenges and we want to help. Come to Peirce Night and learn how you can earn the bachelor’s degree you need for the career you deserve. The fact is, people with a bachelor’s degree earn an average of $500 more per week more than those that didn’t graduate from college. That’s $2,000 more a month, and $24,000 more a year. On top of that, the unemployment rate among workers with a bachelor’s degree is less than half the rate compared to workers that never completed their college education. Don’t let procrastination get in the way of achieving your goals and living the lifestyle you want for you and your family. At Peirce College, we can help you get there. Helping adult learners reach their goals isn’t new for us. In fact, it’s been a part of our mission since we first opened our doors in 1865. We are constantly looking for new ways to help working adults balance going back to school. 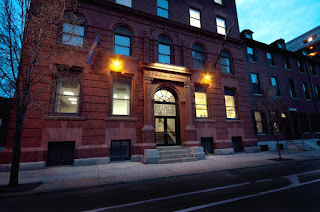 That’s why we were one of the first colleges to offer online degree programs back in 2000, why we adopted our revolutionary Peirce Fit ™ learning model across the entire curriculum, and are the only college in Philadelphia to offer a competency-based bachelor’s degree in information technology. Your time is now. Experience the Peirce Difference, and let us help you earn the degree you need. Start your journey today! Register for our upcoming Peirce Night—it’s a great way to kick start the process of going back to college with exclusive giveaways and access to discounts. For more information on how Peirce can help you earn the degree you need for the career you deserve, click here. Competency-based education is a self-paced program, completely online, in which the student works through their course work and is not pressured with deadlines. It uses experience to earn credits and complete a degree program at a quicker pace. Students pay a flat tuition rate during each term and can earn as many credits as they can! Assisting with this is Christa Donato, the CBE Coach. Q: Christa, could you please tell us a little bit about yourself? I graduated West Chester University in 1998 in Elementary Education and started teaching immediately following graduation. I also worked for Sylvan Learning Center as a tutor, Director of Education, and Center Director. In 2004, I graduated Rosemont College with my Masters in Technology in Education. In my first year of teaching, I incorporated technology into my lesson plans and worked with the students in using various programs like Word, Power Point, and Excel. Through my years of teaching, I was very hands-on with including technology in my lessons and also organizing after school camps in teaching computer skills, not only to students but adults as well. In 2014, I accepted an adjunct teaching position and taught Technology Competency at Manor College. Having my Masters in Technology allowed me to use my technology skills in order to allow students succeed in the course. Q: Can you talk about what a CBE coach is and what you do? How is your role different than a student’s advisor or a professor? As the CBE Coach, I will provide support and guidance throughout students’ CBE program. I will monitor his/her progress as the student progresses through the competencies and provide feedback. I will meet with the student at least twice a month to provide motivational support whether it is face-to-face or through other forms of communication. The Coach and student will develop a plan for his/her program and work very closely in following this plan for success. The CBE role is different from a student advisor or professor since I will be closely monitoring the students’ progress in their program and the competencies they are completing and lead in discussion with the student when needed. Q: What made you decide to work with adult learners? Being in the education field for over fifteen years, both in the classroom and in the professional setting, my core belief about education has not changed. The main reason why I decided to work with adult learners is because of their desire and own interest in wanting to pursue their goals. Adult learners are self-directed, but still need the guidance in obtaining their goals and that is where I feel that I can provide the biggest impact to the adult learners. Q: If someone’s interested in learning more about CBE at Peirce, what should they do next? I would direct a prospective CBE student to the Peirce CBE website to complete the CBE assessment. After completing that assessment, the enrollment representative will make contact. A person can also contact the CBE Enrollment Specialist, Heather DeRitis at 215.670.9124 or the CBE Coach, Christa Donato at 215.670.9492 for further information. For more information about the CBE program, click here.